Your personal brand is among your most important assets as a professional, particularly as it is reflected in Internet search results. 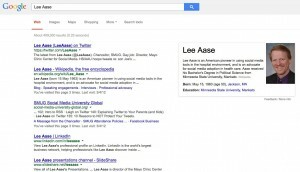 What do people see when they go to Google (or another search engine) and enter your name? For physicians this is particularly important, as various doctor-rating sites compete for search engine rankings. If you are not personally engaged in social media, the search results will represent what others have said about you (for good or ill), instead of reflecting your contributions. 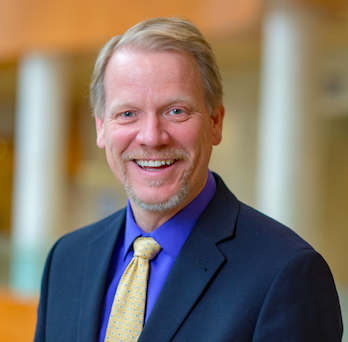 So creating personal accounts on Twitter, Facebook, LinkedIn, Google (YouTube and Google+), Slideshare and Doximity (if you are a physician) is the most important strategy you can employ to ensure that the top search results for your name are those that represent you. And creating a blog or contributing to one can supercharge your search optimization. Linking among your various accounts. Even if your name is common, however, you should find ways to use consistent account naming not just for the search engines, but so people encountering you in various platforms associate the account name with you. 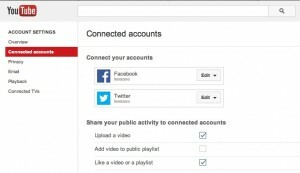 Associate your gmail address (which relates to your YouTube and Google+ accounts) with all of your social networking accounts. If you use a work-related email and later leave that organization, you may have difficulty in recovering a forgotten password, although site increasingly offer other means of resetting passwords, such as sending a text message to a cell phone you have associated with your account. See the guidance in steps 2 and 3 below to help in picking your gmail address, if you don't already have one. Twitter usernames are limited to 15 characters, and shorter is better. So in creating your social media personal brand you might want to start with Twitter. Once you have secured that account name, it’s more likely you will be able to use the same name for your other accounts. If you are a physician, strongly consider including MD or Dr in your Twitter username. Doctors are among the most trusted professionals, so JSmith55905MD or DrJSmith55905 would give you more credibility than JohnSmith55905. If your name is too common, too long or both, and if you can't work a meaningful portion of it into a Twitter username, then you could consider a pseudonym. But once you choose it, be consistent and use the same screen name on all of the platforms. 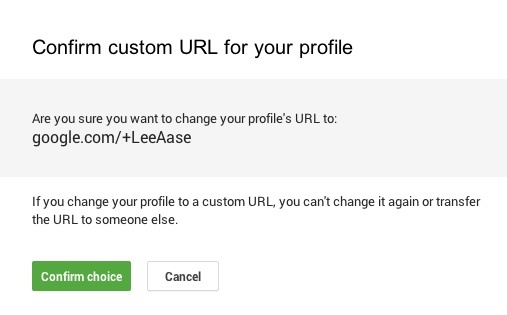 Go to Facebook, Google (YouTube and Google+), Slideshare, Pinterest and others to create your accounts (or claim you personalized URLs), maintaining your personal brand consistency. Note that if you discover your Twitter name isn’t available on another important platform, you can go back and change your Twitter username. The key field for your account is the email address you used to create it. Some of the other platforms don't let you change your name or vanity URL once you're set it. 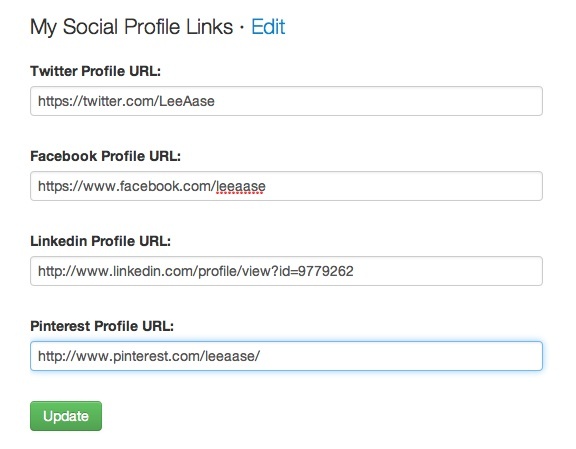 Add other relevant details to your social profiles. Make sure your real name is displayed, especially if you have used a pseudonym for your account name. Link your accounts. 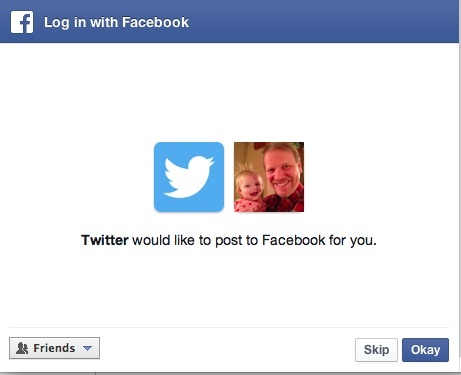 This can help in making it easier to log in to sites (many offer Facebook or Twitter authentication), and for many platforms you can even create your accounts by signing in with Twitter or Facebook. 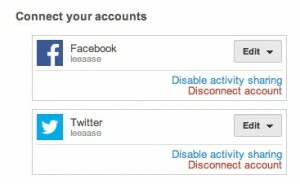 So those should be the first two accounts you create, and that will make it easier to sign up for the others. The images below show some examples of my linked accounts (YouTube linked to Facebook and Twitter, LinkedIn connected to Slideshare, and my Twitter bio linked to my blog). Connections among these platforms helps Google (and other search engines) see that these all represent you. 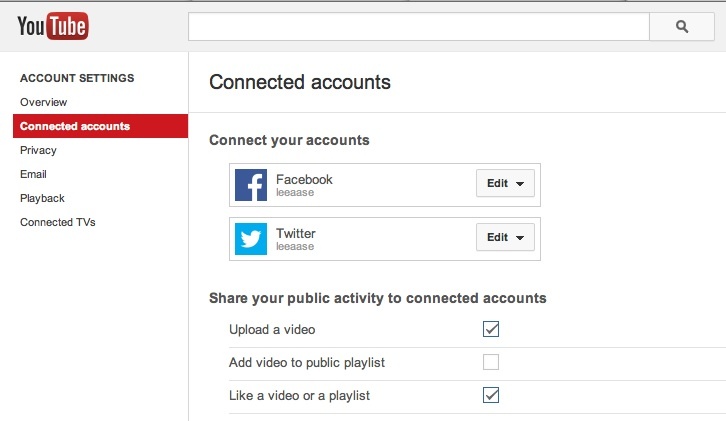 Note that you can connect accounts without having content automatically shared among them. You may not wish to have all of your tweets automatically posted to Facebook, and you certainly wouldn't want them posted to LinkedIn. 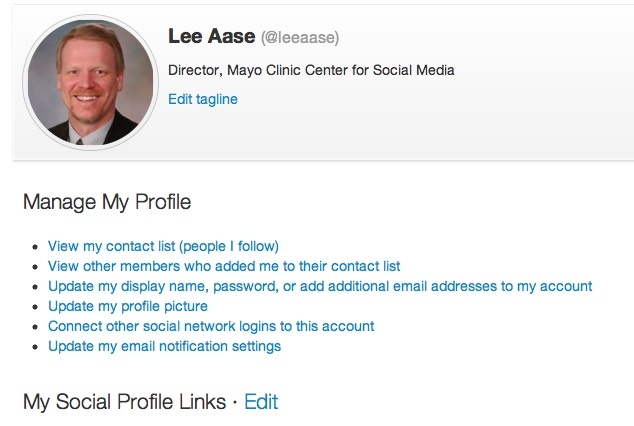 Part 1: After you have created or updated your accounts for Twitter, Facebook, LinkedIn and/or Pinterest, link those accounts to your Social Media Health Network profile. Then click the Edit link next to "My Social Profile Links"
Great insights, Lee! How are health systems handling personal branding for their physicians in social media? Do the systems offer guidelines and training? Are there concerns about brand-building and consistency? I have been doing Social Media as a profession for several years. Just an FYI: Never, ever link your accounts. Twitter and Facebook should ALWAYS be separated. I realize “people are busy,” but if you’re posting from Facebook to Twitter, you’re not really ON Twitter building relationships, which is what you’re supposed to be doing. It’s better to build a solid standing in a couple places, than a really bad one in several. Thanks for raising the issue, Amy. I agree to a point, but when you say “never, ever link your accounts” I have to push back. You will note in the example above I did not allow Twitter to post to Facebook. So when I tweet it doesn’t go on Facebook, and my Facebook posts don’t go on Twitter. And I know @meredithgould would give birth to a farm animal if she saw my tweets posted on my LinkedIn profile. 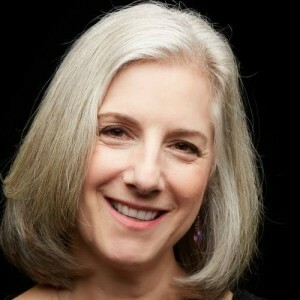 My linking strategy is more about building the well-rounded picture of who you are – your personal brand. 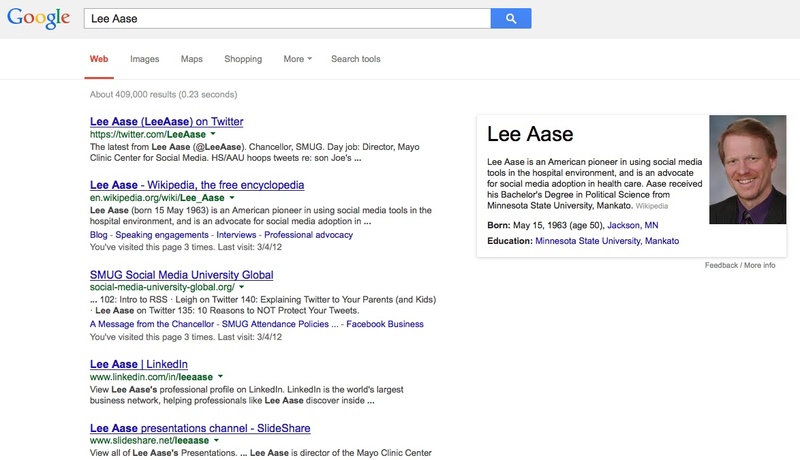 That’s sending signals to search engines that these profiles represent the same person. So while I agree with your main point that posting from one platform to another seems like a time-saver and is technically possible but is counterproductive, there’s a difference between linking accounts and allowing them to post to each other. 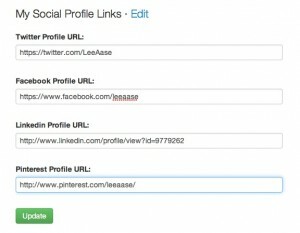 The other point is that linking your social accounts so you can use them to log into other sites can be really helpful. I appreciate you raising the issue so I could clarify. What do others think? First, the farm animal to which I would give birth would be adorable and in a manger. Next, “never ever” is always a dicey stance to take, although I’ve been known to make such pronouncements! While I discourage automatic cross-posting, I’m fine with reconfiguring the same content to post on different platforms…at times. What times are those? If the message is something that would be valuable for my audiences on FB as well as Twitter, I rewrite the message and may add/delete images or links that would work on one platform but not another. My meme: Develop strategy first. Agreed…auto-posting almost never is appropriate, which is why it shouldn’t be automatic. Tailoring and adapting for different platforms makes a lot of sense. That’s awesome! The same content is rarely appropriate for multiple platforms. I don’t use my social accounts to log into anything. I use my email address. Being that my company does Social Media for a living, I have learned over the past several years that permissions can go awry, and I learned that the hard way. It’s easy for me to speak on behalf of a client, but sharing my own ideas and opinions is tough. However, I realize to build my own personal brand that I need to move in this direction. Can anyone share how they determine and create their own professional social media content? Karen, As ever, I say strategy is where you need to start. For your personal brand/account: Who is your audience? What are your goals? What’s your message? Figure that out and tactics should fall into place (e.g., participating in online chats, leaving comments on blogs, responding to FB posts). Make your account (Facebook, Twitter, etc.) a sort of a “hub” for what you want to show people you are knowledgeable about. So, if you’re an OBGYN, for example, post things about women’s health. Food, exercise, recipes, etc. Is there a resource on the network for how to go back and start establishing my social media brand (or how to update usernames and/or personal URLs)? Or is this even possible once accounts are created and somewhat established? I created many of my soical media accounts without thinking about a personal soical media brand, for example, I created my Facebook page back in college, when you still needed an edu address to join, but I just recently created a Twitter account. Thank you.